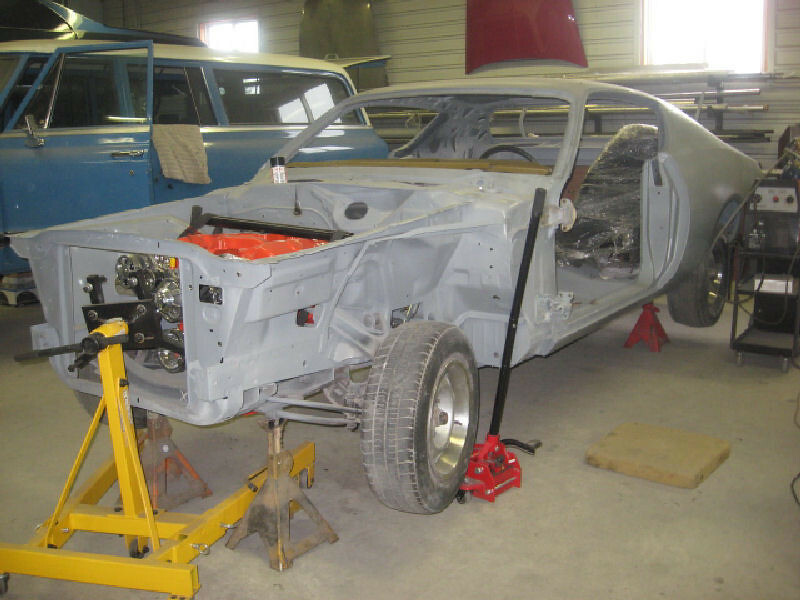 We are installing the motor/transmission, doing some rear suspension upgrading and some small fabrication work to get this Charger ready for the paint shop. Interior is done, looks great. Thank you to John Wilkie at Auto Interiors by John.